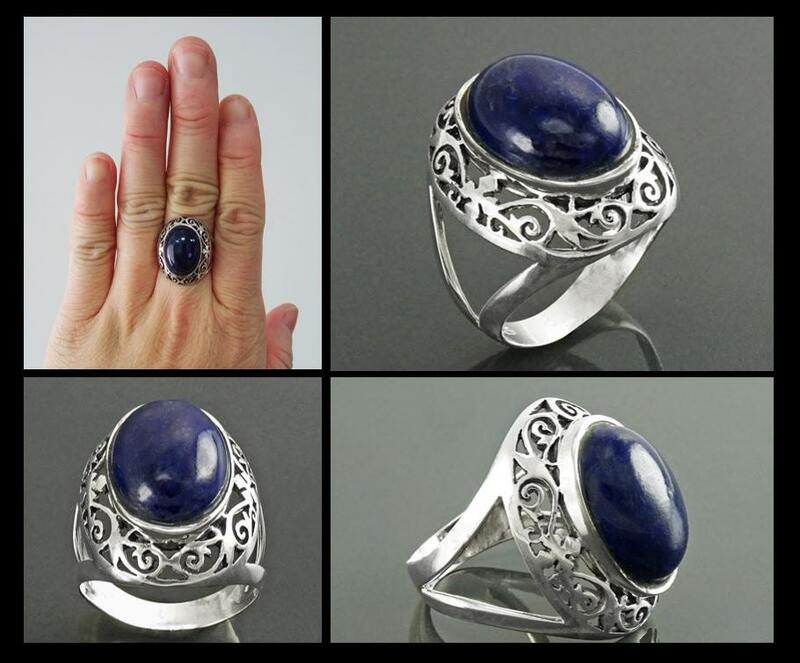 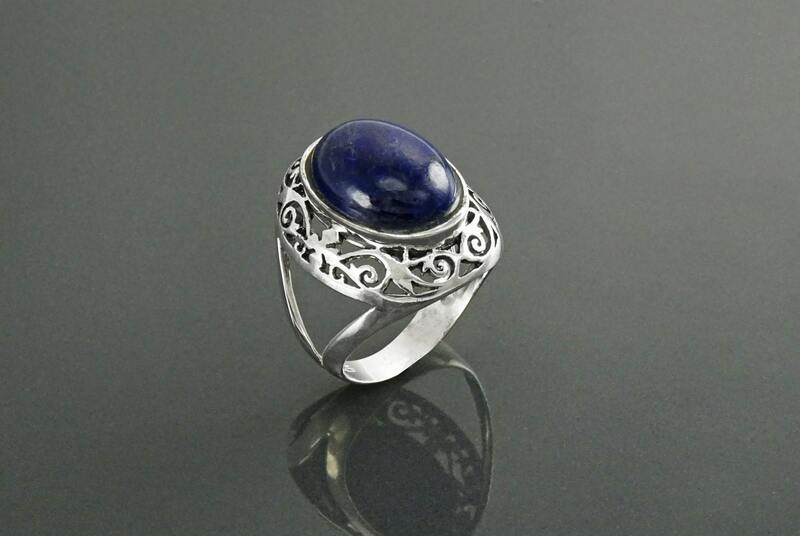 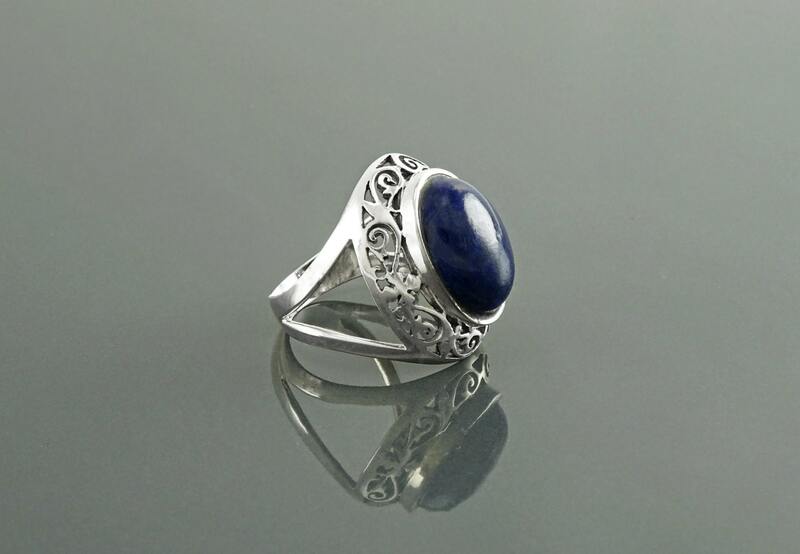 This Gorgeous Bleue Lapis Ring features a Vintage Studded Pattern around the Genuine Blue Lapis Lazuli Cabochon. 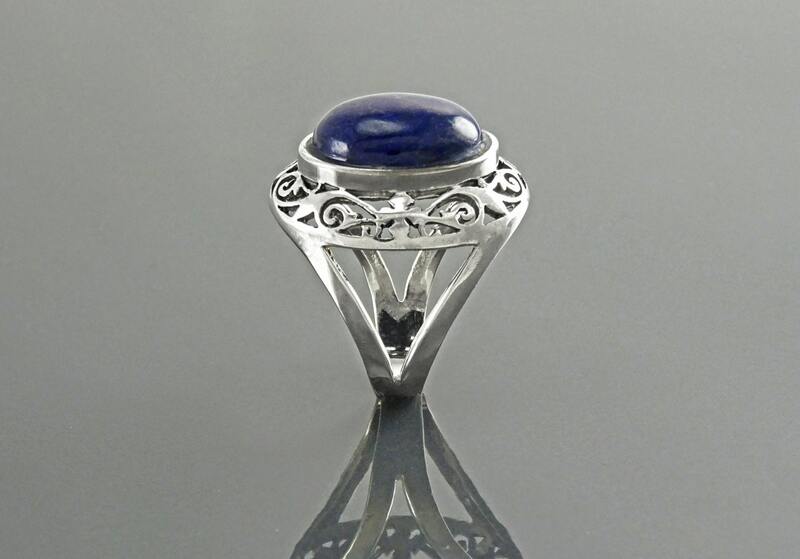 The Border is filigreed and looks lovely with the Stone. 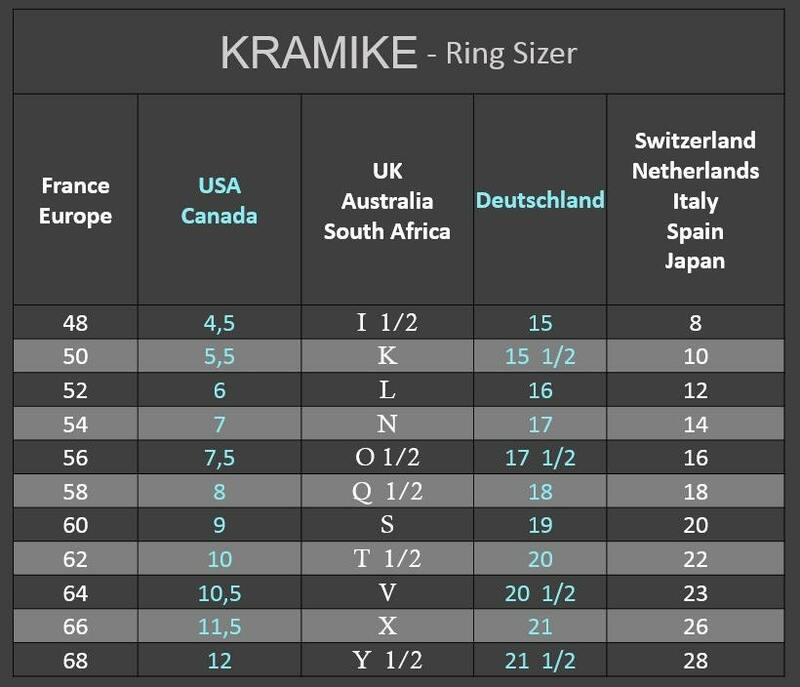 Average silver weight : 4.7 gr.